Recently, I dealt with the lame myth that dogs might get autism from vaccines. No, they won’t. Now a new article in the online magazine Salon is digging up every anti-vaccine myth to try to convince people to reduce pet vaccinations. In the recently published article, Salon, who gave a pulpit to Robert F. Kennedy Jr.’s unscientific and ignorant anti-vaccine rants (and subsequently retracted it after withering criticism), try to make a claim that we over-vaccinate our pets with no consideration to the health of our pets. And to do this, Salon appeared to turn to the anti-vaccine handbook to bring up every myth that we’ve debunked in human vaccinations but applying it to pet vaccinations. The article reads like “I support vaccines but…” It’s the “but” that matters, just making the article sound more anti-vaccine than pro-vaccine. Time to take a look at this balderdash. All puppies and kittens should receive the rabies vaccine at three months of age and again at one year of age. Rabies vaccination schedules vary depending on the area of the country you are in and the prevalence of the disease in that area. Rabies is deadly to your pet, usually requiring that they are euthanized. Preventing it is the best thing for your pet. Otherwise, puppies should be vaccinated for distemper virus, adenovirus, parvovirus, and parainfluenza, while kittens should be vaccinated for viral rhinotracheitis, calicivirus, and panleukopenia. Other vaccinations may also be recommended depending on the lifestyle of your pet. Unfortunately, the Salon article makes this boldfaced claim – “those recommendations are completely arbitrary” based on an article in blog called Dogs Naturally Magazine, which appears to be a woo-based website. The present results suggest a new vaccination schedule for dogs that have never been vaccinated. 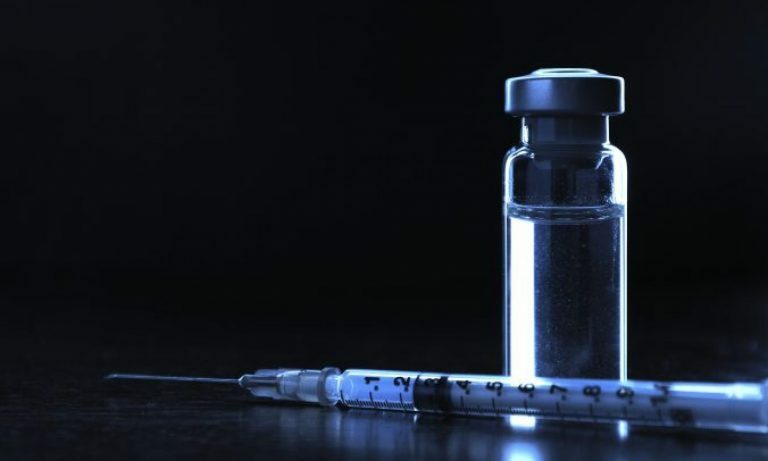 In addition to the first dose of vaccine, two others are recommended: the second at 30 days after the first and the third dose at 180 days after the first for the maintenance of protective titers during 12 months. Booster shots are necessary in puppies and kittens to overcome ‘maternal immunity’, where the antibodies that the puppies and kittens acquired from their mother provide some protection but eventually break down. Vaccines are ineffective in the face of maternal immunity; therefore the puppy and kitten vaccine series is necessary to protect the pet during the time when the maternal immunity disappears. Booster shots remind the immune system of diseases it is supposed to protect against. Annual boosters for some vaccines are important because we have to remember a key part of dog or cat physiology – they age much faster than humans do. So, while it may take decades for a human’s immune system to “forget” a pathogen, that could happen in a year or two in your pet. This is one of the most ridiculous parts of the Salon article. They claim that the dog or cat owner could simply check the antibody titer of their pet, and that will save them a vaccination. As a pet owner, you know that pet vaccinations are difficult. Not because of the vaccine itself, but the whole act of bringing your pet to a veterinarian, have some strange people handle them, and then getting a sharp needle pushed into a pinched fold of skin. Even many humans dislike the whole act of vaccination, so your pet, who has no clue what is going on, absolutely hates it. And if you think getting an antibody titer is some magical technique that will not inconvenience your pet or yourself, you’d be wrong. In fact, it requires drawing of a blood sample out of a vein, something that I would argue is harsher to your pet than a vaccine. And if the titer is too low, you have to come back to get the vaccine anyway. Now, the assumption with using an antibody titer to avoid vaccinations is because there are some risks to your pet in getting the vaccines. Which leads to the next myth. The number of pathogens plus toxic and carcinogenic chemicals that the animals are exposed to all at once generate an enormous toll on the immune system.The results can be devastating. Here we go again. There’s that old canard that there are all these “toxic and carcinogenic chemicals” in vaccines, something that has been debunked so many times that it’s getting positively boring. What did Salon do in researching this article? Find every anti-vaccine author to try to make an anti-vaccine case for their pets. Why didn’t they call up Andrew Wakefield? He’s against pet vaccinations, of course. Again, there are a number of peer-reviewed articles that look at adverse events in pet vaccinations. Miyaji et al. reported that out of 57,300 vaccinations of dogs, only 0.6% had an adverse reaction. Most of these events happen after a few minutes, so that the veterinarian can actually deal with it. One of the most common adverse events is delayed hypersensitivity where the pet becomes itchy and their face and ears swell. This can be quickly treated with antihistamines. The second, much less common, adverse event are anaphylactic reactions to the vaccine. Again, this happens rather abruptly, and can be quickly and successfully treated with epinephrine by the veterinarian. But in both cases, they are extremely rare, while the vaccine preventable diseases, such as rabies, parvovirus and distemper are more frequent and can seriously harm your pet. One last point – the Salon article implies, several times, that somehow all of these antigens delivered by vaccine is somehow dangerous to the immune system. Once again, this goes again everything we know about the mammalian immune system which is robust enough to handle a large number of antigens. There is simply no peer reviewed evidence that establish some sort of issue with the number of vaccines given to your pets. It is clear that there is some evidence that we can reduce the number of vaccines for our pets. But this shouldn’t be done without consulting a licensed veterinarian, who can make recommendations for your pet. However, there haven’t been any labeling changes for pet vaccines, so your vet, if he recommends a change to the vaccine schedule, will do so against labeling. The extremely low risk of adverse events and the lack of evidence that there are too many pet vaccinations is balanced against verifiable science that several deadly diseases prevented by these vaccinations. Salon, using myths and tropes of the anti-vaccine world, is not a reliable source as to whether you vaccinate your pets. Real science says we’re not harming our pets through vaccinations – we’re saving their lives. Babboni SD, da Costa HF, Martorelli Lde F, Kataoka AP, Victoria C, Padovani CR, Modolo JR. Kinetics of rabies antibodies as a strategy for canine active immunization. J Venom Anim Toxins Incl Trop Dis. 2014 Aug 26;20:37. doi: 10.1186/1678-9199-20-37. eCollection 2014. PubMed PMID: 26413082; PubMed Central PMCID: PMC4582946. Miyaji K, Suzuki A, Shimakura H, Takase Y, Kiuchi A, Fujimura M, Kurita G, Tsujimoto H, Sakaguchi M. Large-scale survey of adverse reactions to canine non-rabies combined vaccines in Japan. Vet Immunol Immunopathol. 2012 Jan 15;145(1-2):447-52. doi: 10.1016/j.vetimm.2011.12.023. Epub 2012 Jan 4. PubMed PMID: 22264736.